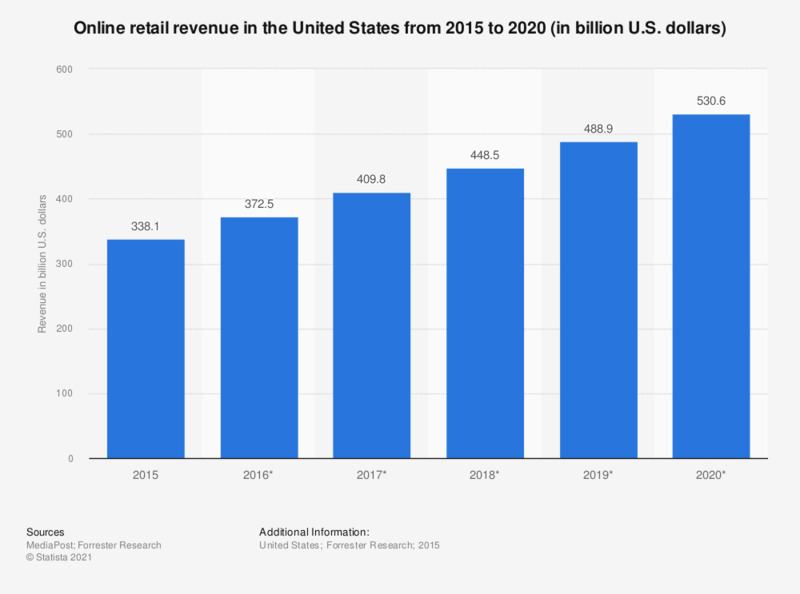 The statistic presents a forecast of the online retail revenues in the United States from 2015 to 2020. In 2015, U.S. retail e-commerce spending amounted to 338.1 billion U.S. dollars and is projected to surpass 530 billion U.S. dollars in 2020. How important are delivery services while shopping online?